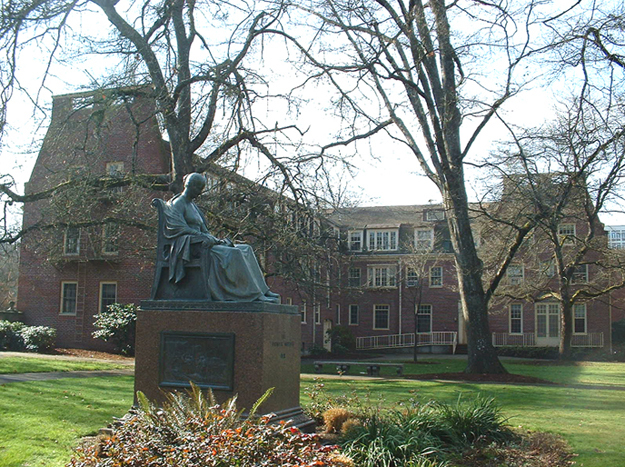 The UO Graduate School has announced plans to significantly grow doctoral programs at the university through targeted investments totaling $4 million dollars over five years. The school also is expanding a program designed to attract diverse doctoral students to campus. These initiatives are part of a university commitment to enhancing academic excellence and expanding the institution’s research capacity by increasing the number of doctoral students and tenure-related faculty. The new investment will support at least 40 new graduate First-Year Fellowships for incoming doctoral students. Scott Pratt, dean of the Graduate School, said he is excited about the investment in graduate education. Pratt said because the university’s doctoral programs already are very successful in seeing students complete their degrees, the best way to improve doctoral production is to increase the number of students pursuing doctoral degrees. President Michael Schill has committed $800,000 of central funding for the first year. The next four years of funding are expected to be built into the new academic resource allocation systems. Through these new investments, the university hopes to see permanent increases in doctoral enrollment and, ultimately, degree completion. In addition to the Graduate School fellowships, the school will expand its Promising Scholar Awards program by at least 10 awards. The Promising Scholar Awards provide support to departments and programs recruiting graduate students of diverse backgrounds and experiences. The goal of the program is to advance the inclusiveness of graduate education and the institution as a whole, while enhancing the support for and experiences of students traditionally underrepresented in graduate education. Another new recruitment program is underway with the increased funding. The Graduate School Recruitment Fund will provide departments and programs with three options for reaching prospective doctoral students. Money is available to departments to support campus visits, provide summer support after the first year or to provide increased “top-off” funding packages for incoming graduate students.